Why Choose Smart Temp Security ? 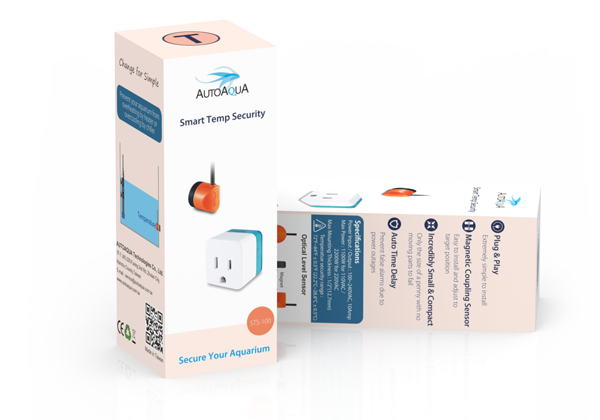 Smart Temp Security uses a super tiny temperature sensor to secure the aquarium temperature. Magnetically-coupled sensor makes it so easy to install. Maintenance is also as simple as you can imagine. Featured with Plug and Play design, no setting is needed. 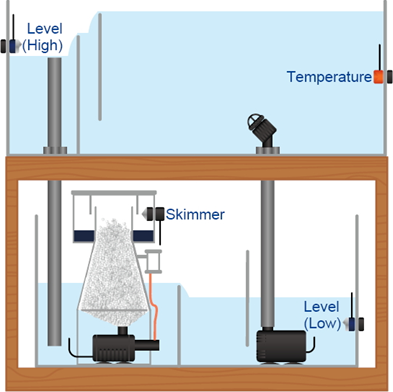 It secures your aquarium temperature ranging from 72℉ ± 0.5℉ to 84℉ ± 0.5℉(22.2℃ ± 0.5℃ ~ 28.8℃ ± 0.5℃). When the temperature is higher or lower than the securing range, it will turn off the heater or the chiller immediately and give an alert. Auto time delay function prevents false alarm due to power outages.